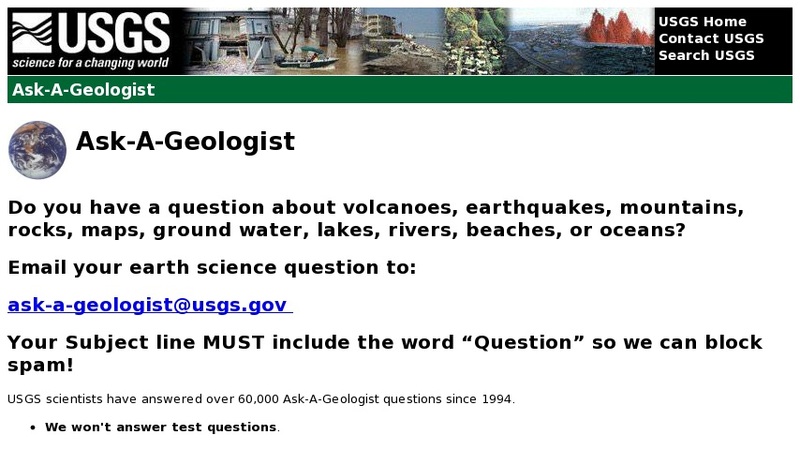 Email a USGS scientist your question on volcanoes, earthquakes, tsunamis, mountains, rocks, maps, ground water, lakes, rivers, even some biology. Explore the USGS website and the Frequently Asked Questions section to see if your question has already been answered. Scientists will not answer some types of questions, so read the directions before submitting a question. Site also features other USGS educational resources.